Meadows Farm Vets Ltd is a farm animal only practice. We aim to offer a first-class service at a reasonable cost. We try to ensure that the business is efficient and simple and maintains low overheads. We operate differently to conventional veterinary practices in that we do not generate most of our revenue on the back of sales of pharmaceuticals; drugs are sold at competitive rates (e.g. compared to internet suppliers.) We charge a single professional hourly rate to encourage our farmers to be organised and to demonstrate transparency in charging. Our vets have fully equipped vehicles to deal with nearly every situation on farm as well as access to crushes, handling systems, bull fertility testing, foot-trimmers, and staff to help make life easier for both vet and farmer. We do not undertake regular small animal or equine work, preferring to spend our time prioritising farmers and small-holders. Cows presented for fertility work are normally scanned – we all carry portable scanners. On dairy farms we would normally suggest a suitable interval for routine visits (where these are not already being undertaken) to improve the management of the farm. This may be seasonal, depending on the calving pattern. The same vet usually does the majority of routine visits for a particular farm. Nothing is done, however, without your full consent, and routine visits are not compulsory. We hope that with the reduced expenditure on drugs, you will allow us to help you with more aspects of the health and productivity of your animals. The future of your farm lies not in getting cheap medicines with no advice, but more from reducing your total need for medicines by paying for quality advice. We also hope to train you to do more tasks yourselves, which will save you money and allow us to spend our time giving you a higher level of advice and help. Things like intravenous injection, problem foot trimming, diagnostics of common conditions, blood sampling, inserting pessaries etc, are all things you can do yourselves after a lesson or two from us. Where appropriate we like to standardise the approach to treating common illnesses and problems, which may include a written protocol. We allow you to keep an appropriate level of medicine on the farm that will enable you to treat some of your own cases with help over the phone from us to avoid excessive fees. Phone advice is free so use it. We also encourage farmers to adopt the myhealthyherd.com Herd Health Plan, which also covers the requirement of the NDFAS. All farms should now have a herd health plan in place in order to monitor disease status and biosecurity. These are available for collection at the practice at Causeway Meadows Farm, or pre-arranged delivery, or postage. Orders placed before 10am will be delivered on the same day where possible. Orders placed after 10am will be delivered on the next working day. Delivery is free but please order in advance of need. Ideally order medicines before your routine visit so that the vet can bring them with them to the farm. Needles and syringes may be ordered in boxes of 100 and added to your account, or ask reception to add a few to the bag with your medicines order, free of charge. 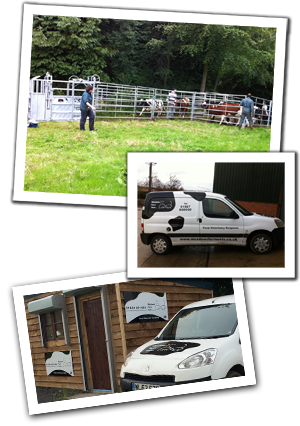 We now have a branch on the outskirts of Ludlow, based on one the local dairy farms. We hope this will help to reassure our existing (and encourage prospective!) 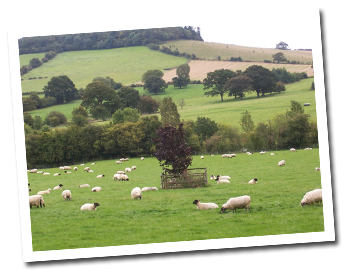 south Shropshire farmers that we have listened to you, and are expanding our services into areas which have felt a decline in veterinary cover (due to practices giving up farm work because of the TB tender). We are very excited that this new branch will help support the increasing number of vets in the MFV team in our continued ethos of bringing the experienced 100% farm only vets of our practice to your farm yard. We will be opening another branch here in 2018 due to local demand. Experienced 100% farm only vets will be available to visit all types of farm from smallholders to large enterprises. The hourly rate charge may seem to be high but please consider the following. Firstly there is no visit fee. Many vets charge on a headage basis, which costs in excess of £140/hour, and rises with the level of organisation on the farm. We can comfortably PD 50 cows an hour if presented with the cows efficiently, which works out cheaper. We can complete a simple caesarean operation in 60 minutes (=£120) when everything is ready for us (water, bales, staff, halter etc); what would you normally pay? You must always remember that you should also be making a saving on the price of your medicines. We hope this system of pricing will help you to become more organised which in turn will help us. We feel it is the most fair and simple system of charging our veterinary work. This practice continues to be an exciting venture for us. Richard and Sophie are exceptionally pleased with standards set and continue to uphold them. We hope that farmers will appreciate our drive to provide them with the very best veterinary service at a good price. Any queries about anything to do with our practice are welcome at any time.